Sony’s PS4 controller features a completely redesigned look and a more natural grip. The added touchpad and a light bar offer extra controls and gestures but one of the most interesting things about the PS4 controller is the inbuilt audio jack. Even though the PS4 came with a gaming earphone, I couldn’t get it to work with my Apple Earpods right out of the box. 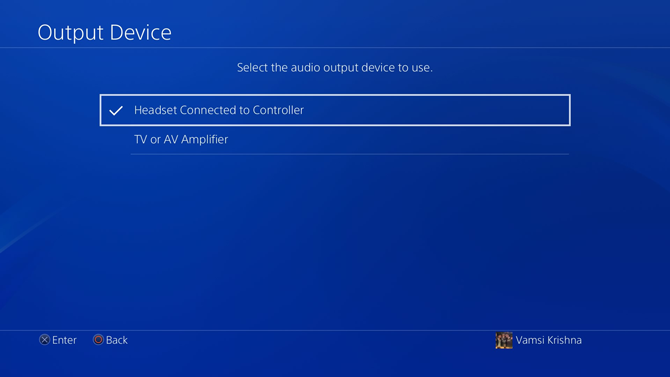 I figured there might be others who may have faced this problem, so, today, I’ll show you how to get audio from the PS4 Controller Audio Jack. 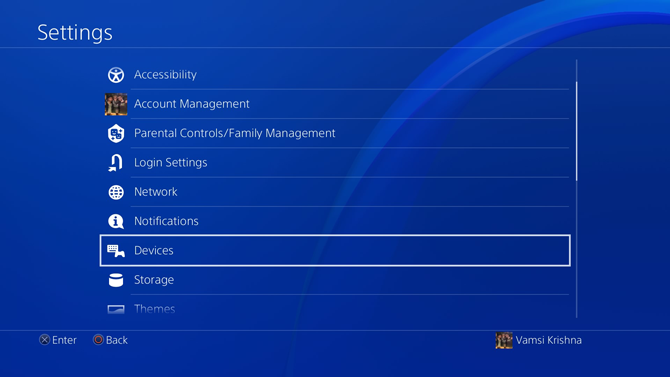 First things first, power on your console and go to Settings using the controller. In the Settings page, you’ll see a few options. Scroll down to Devices. Press X on the controller to open the selected option. 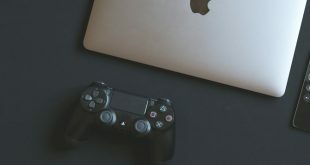 This page has the list of all the devices you can connect with your PS4. 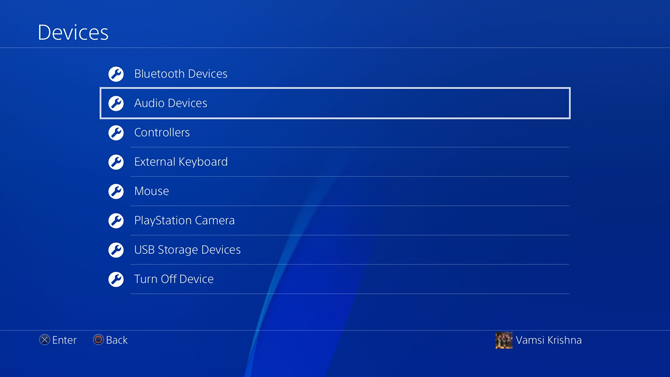 You can pair Bluetooth controllers, Sony PS certified Headsets, Keyboards, and Mice. To route the audio from the headphone jack on the controller, go to Audio devices by pressing X. If you do a lot of online gaming and chat with your team, use a good quality headphone with mic. Not every headphone is supported with the PS4 controller but you can easily find out which headphone works with your PS4 controller. 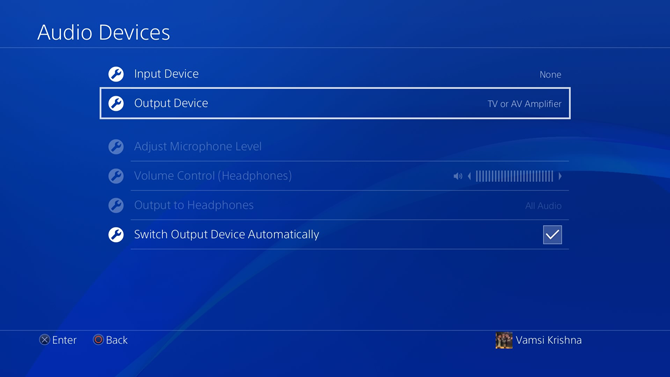 Now, Plug in your headphones in the PS4 Controller and press X to select ‘Output Device’. You’ll see multiple output devices. Select ‘Headset Connected To Controller’. 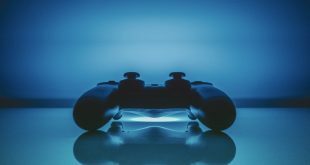 PS4 doesn’t route all the audio to the headphone jack. 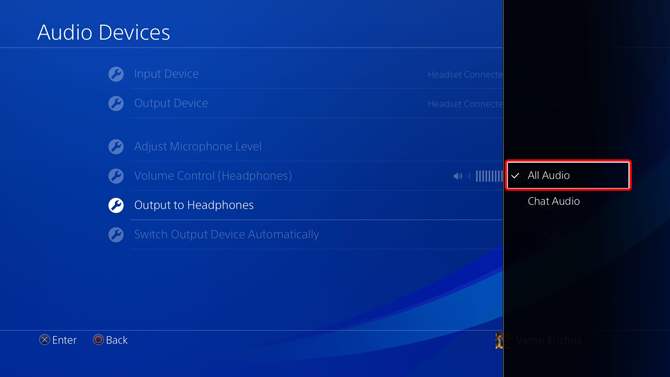 If you want game audio to route from the speakers and only chat audio from headphones, you can leave the settings as is. Or if you’re like me who likes gaming in the middle of the night and don’t want to disturb anyone else in the house, route all the audio to the headphones. Go to ‘Output to Headphones‘ and select All Audio from the list of options and you’re done. Now, all the audio will route from the headphones including in-game audio and chat audio. You can keep the audio jack only for chats but I like to get all the audio from the headphones. I play solo anyway. 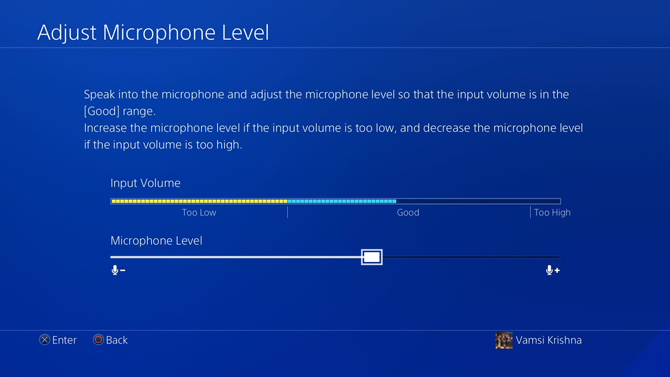 However, if you do play multiplayer make sure the mic works and test the audio levels. You can find the settings on the same page under ‘Adjust microphone level‘. The headphone jack on the PS4 is a standard 3.5mm jack which begs us to ask the question which headsets are supported with PS4 Controller? Are Apple earbuds supported on the PS4? To answer these questions we will have dive into the rabbit hole. 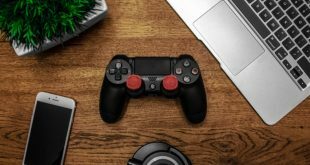 Does PS4 Controller supports mobile Earphones? The short answer is, yes while a long answer is it depends. There are plenty of earphones with mic which works perfectly fine with the PS4 Controller. You can buy PS4 compatible headsets with mic on Amazon for as low as $30, but a good pair of headset would set you back by at least $50 to $60. I tested a few earphones with and without mics and the results were different for both. PS4 controller supports all the earphones and headphones which don’t have a mic and I didn’t have any issue with any of them. I could play with the audio routed to my headphones without any hassle whatsoever. The lack of mics does create a hurdle, though. You can’t chat with your teammates during an online brawl. 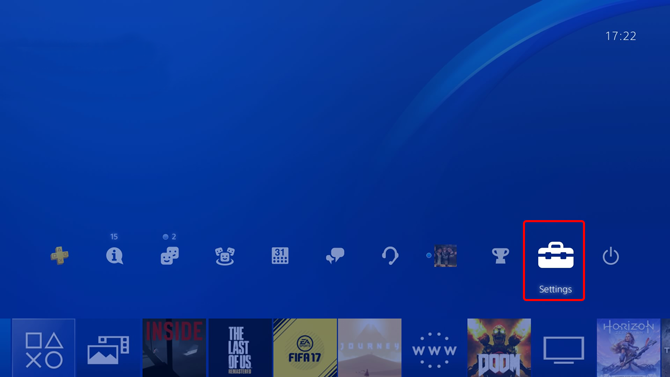 Why PS4 do not support earphones? Mobile earphones with 3.5mm jack have two types of configurations; TRRS, and TRS. All the earphones with mics have a TRRS configuration. The connectors have a slightly different configuration which decides if your earphone would work with your PS4 controller or not. CTIA is the newer standard first adopted by most manufacturers now. It is widely used in smartphones and PS4 accessories. 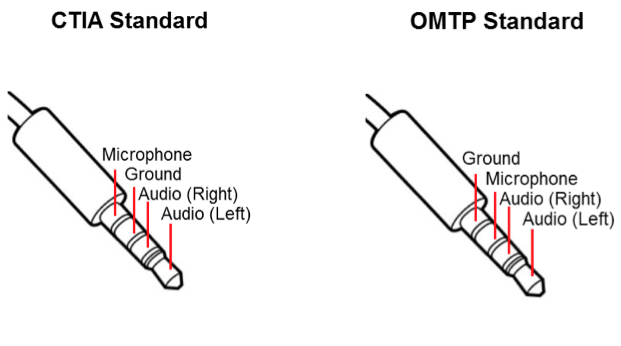 If you use OMTP standard earphone with your PS4, the mic won’t work. This could be one possible reason, why Apple Earpods mic doesn’t work PS4. I tested the following earphones and it worked fine for receiving audio. The only problem was that most of the earphones and headphones didn’t have a mic and the ones which did, didn’t work. You can solve this problem with a simple OMTP to CTIA connecter. It changes the pins so that it becomes compatible with PS4. Amazon has a whole variety of it and would probably cost under $5. This was a quick way to get the audio to route through the audio jack on the PS4 Controller instead of the traditional route. It is a great feature and makes gaming much more fun during times where you can’t blast the audio at full volume. Tell us in the comments, if you faced any problem while setting it up.